The Design & Degree Show (DDS) of Industrial Design Centre, Indian Institute of Technology (IIT) Bombay will be held from June 9 to June 11, 2017. 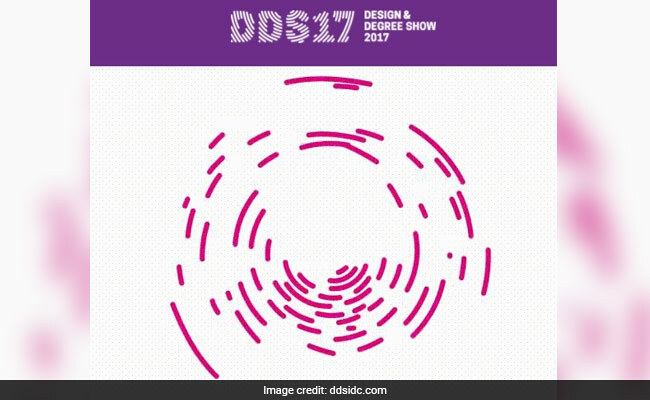 Mumbai: The Design & Degree Show (DDS) of Industrial Design Centre, Indian Institute of Technology (IIT) Bombay will be held from June 9 to June 11, 2017. The Design & Degree Show 2017 is a much-awaited event in the annual calendar of the Institute. Noted animation film maker and national award winner Mr. E. Suresh will inaugurate the DDS 2017 at 9.30 am on June 9 at Lecture Theatre Complex, IIT Bombay. The event will showcase design projects of the outgoing 2017 batch of Master of Design students from five specialisations: Communication Design, Industrial Design, Interaction Design, Animation Film Design, and Mobility & Vehicle Design. DDS this year is a dual celebration for IDC as the premier design institute marks the completion of ten years of its Master of Design programs in Interaction Design and Animation Film Design. To honour this milestone, the first two days of the event will host special talks by experts from these two disciplines. About 20 eminent designers from a wide range specializations in the fields of Animation, User Interface and Human Computer Interaction, Communication Design, Industrial Design, and Mobility and Vehicle design will share their vision, experiences and case studies over three days of the event. Some of the speakers at the Design Conference are: E. Suresh, Vaibhav Kumaresh, Deshna Mehta, Henry Skupniewicz , Abhimanyu Kulkarni , Sajal Nagwanshi, Vijaybahu Joshi and Chirag Gander. The event will also be attended by a professionals from different streams of design, writing, art, media, academia as well as design students from various institutes and organizations. A special screening of the film 'Hum Chitra Banate Hai' directed by Prof. Nina Sabnani of IDC will be held during the event. The film won the best animation film award at the 64th National Film Awards held in New Delhi recently. A book on the design journey of Prof Sudhakar Nadkarni, founder of IDC, will be launched at 5.30 pm at IDC auditorium on June 11. Movies and animation films made by the students of IDC School of Design will be screened during the event.